I recently finished reading the Legacy of Caliban trilogy by Gav Thorpe and I knew I had to try and pick his brain a bit about some of the world altering events that occurred in it. Let me warn you now, this entire interview is filled with spoilers as we discuss many of the twists and turns that occur throughout the series. If you haven't read it yet and don't want to have the surprises ruined for you then turn back now, otherwise, welcome to the secrets of the inner circle. 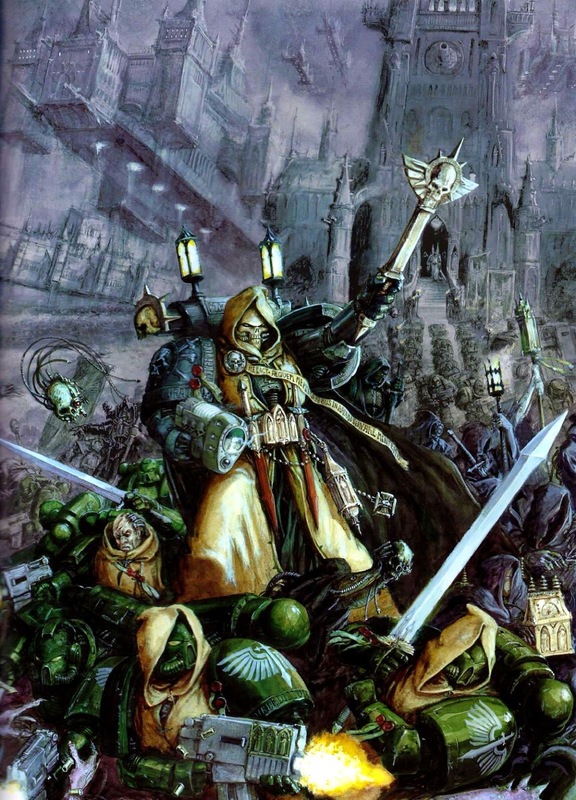 Tyler: You are pretty well known amongst the Black Library authors as being associated with the Dark Angels (as well as the Eldar, Elves, and Raven Guard), what drew you to the most secretive of Space Marine chapters? Gav: Conflict. The Dark Angels have a built-in internal conflict, between the different circles of knowledge and secrecy. It doesn't take much to create friction between two characters, whereas with other Chapters you have to push things a little further, maybe distort slightly the brotherhood Space Marines would have in reality. Tyler: Ravenwing, the first book in the series, came out back when the 6th edition codex for the Dark Angels was released. The last novel just came out with the release of the 7th edition codex, which was about 2-3 years later. How much of this trilogy was planned from the get go, and how much of it developed organically as you wrote it? Gav: The overall structure was in place form the conception. 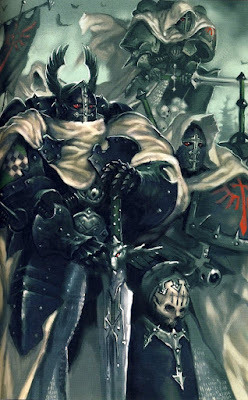 It examines how the Hunt might progress, so the story moves from from the Ravenwing through the Deathwing getting involved until the entire Chapter gets drawn in (actually, several Unforgiven chapters). As part of this, I always envisaged having a couple of lower level characters remaining throughout, whilst each book would have a point of view from a known character - Sammael, Sapphon and Asmodai (because fans seemed to want both in equal measure when I asked who they preferred) and finishing with Azrael. I also knew that in order to 'scale up' the conflict to make it big enough for Azrael to be involved, it would have to be a pretty big episode in the Chapter's history, Having written Angels of Darkness, it made sense to resurrect the plot of the Fallen form there and turn the stakes up to maximum! 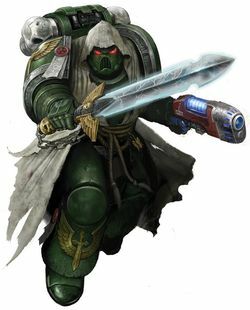 Tyler: Over the course of the trilogy you got to write pretty much every major player in the Dark Angels stable, including Cypher. Who was your favorite to tackle and who was the trickiest to write? 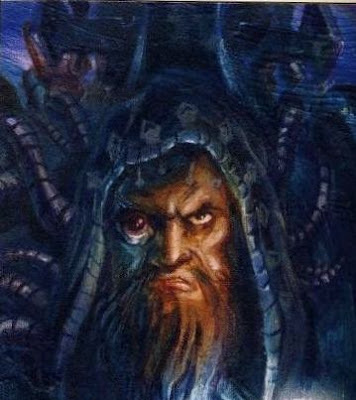 Gav: I liked them all, but I suppose Asmodai was the most fun - he's unstable and zealous, but it would be easy to write him off as an unthinking maniac I liked being able to introduce just a little bit of sympathy for him, to show why he cannot compromise and why that might be a good thing in some circumstances. Getting him to play off against the far more manipulative Sapphon turned out to be an excellent opportunity. The hardest was Sammael, simply because his character traits of bravery and daring translate nicely to battle scenes but I had to show how it affected his behaviour away from the battle, without him coming across as a rash idiot. Tyler: Ravenwing acted as an introduction for us into how the Dark Angels operate and the level of secrecy their Battle-Brothers are kept in, while The Unforgiven featured a lot of dramatic reveals and had the duty of tying up the plot. This allowed Master of Sanctity to delve into the complex chapter politics amongst the inner circle and the different companies. Was this planned when you started or something that developed due to the nature of it being the middle book? Gav: I hadn't thought of it in those terms, but I suppose the politics are something that are inevitable once the Hunt continues and the consequences ripple up the chain of command. Tyler: Which of the three novels was the most challenging for you to write and which was the most rewarding? 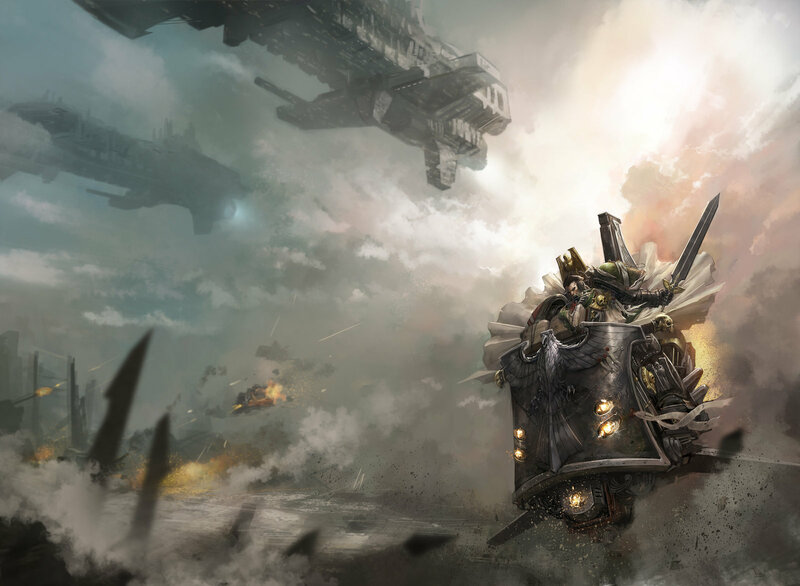 Gav: Ravenwing was the hardest simply because beginning things but making them satisfying in their own right can be a difficult balancing act, plus the Codex was still being written so there was fluctuating research materials to read and absorb. Getting characters down and straight in your head takes time, and coming back to them is easier. It was also the book that threw up the most obvious difficulties when looking at the day-to-day logistics of trying to a keep a secret within the brotherhood of warriors - just exactly how are the different circles of knowledge maintained? I loved writing Sapphon and Asmodai, as I mentioned, but I also got a real thrill from The Unforgiven simply because I knew it was a storyline that would blow everything out of the water, for the story and the fans alike, as well as flirting with the appearances of Cypher and cool stuff like the conversation with Luther. Tyler: In The Unforgiven we learn that Luther is indeed kept prisoner within the heart of the Rock, something that had long been hinted at. Were the details of his imprisonment, such as the stasis field and his mental instability, something given to you by GW or were you allowed to develop it on your own? Gav: I just made them up! Based on long experience with the background, of course. 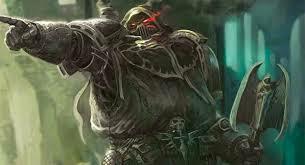 Tyler: Besides Astelan and Cypher, the other major antagonist was Typhus. 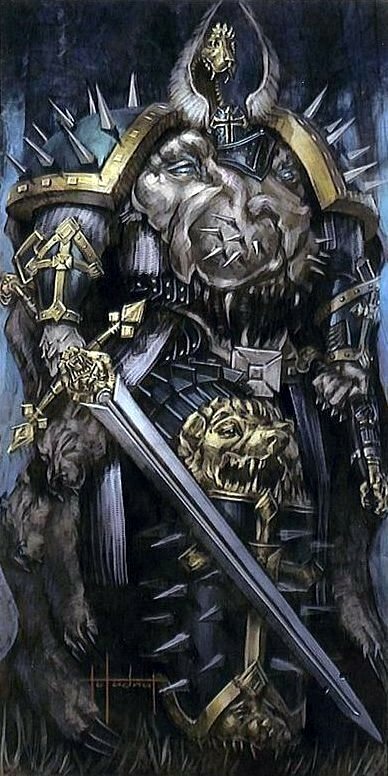 What drew you to writing about the Herald of Nurgle as opposed to one of the other major Chaos villains? Gav: Well, I can't get into that too much because of potential spoilers for my forthcoming Horus Heresy novel. 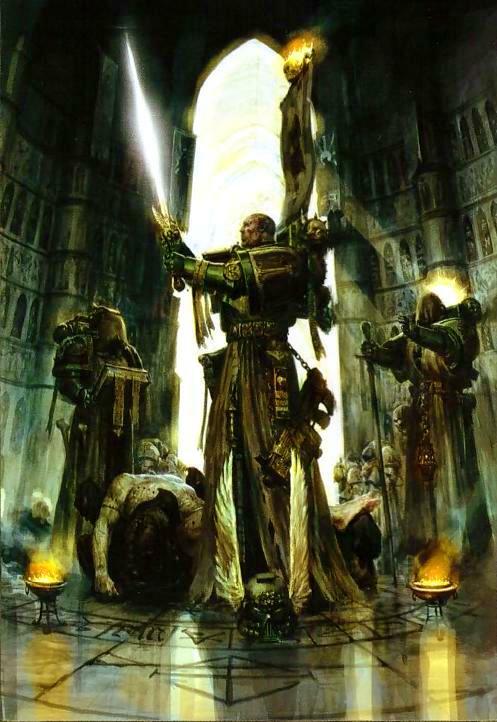 But, there's already history established in my novella The Lion, that ropes Calas Typhon (now Typhus) into the fate of the Dark Angels. Tyler: Is it difficult utilizing such an iconic villain? I always found it a little endearing that Azreal and company thought they were going to be the ones to finally kill him after 10,000 years. 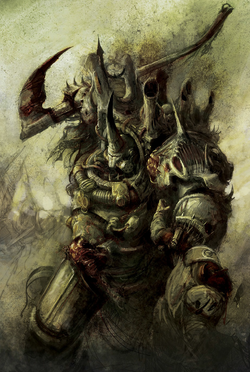 It seems like since Typhus is so thoroughly embedded in the 40k lore and game that it would limit what could happen to him in the story. Gav: It's always a balancing act between what he characters know and expect and what the reader, with their experience outside the universe, will know and expect. Suspension of disbelief and convincing the reader to forget what they know to be true are key to any story like that. Tyler: Do you see this trilogy as a story of the Dark Angels as a whole, or more specifically the story of Anneal and Telemanus? Gav: Both. Annael and Telemenus are examples from the lower ranks, the 'common man' viewpoint that allowed me to look at the grand conspiracies and conspirators with innocent eyes - and hence are perhaps also the eyes of the reader in many regards. 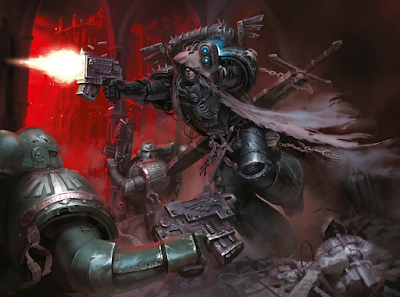 Tyler: When Angels of Darkness was written the Horus Heresy had barely been explored, which allowed you a lot more freedom to create the history that you needed. It was also one of the first books to really explore that time period. The Unforgiven has a ton of connections to the Heresy series, some we have already seen, such as from The Lion, and some yet to be explored. Do you find it harder to write stories that weave themselves into the Heresy now since that series is still being written and fleshed out and is a lot more concrete? Gav: The opposite. 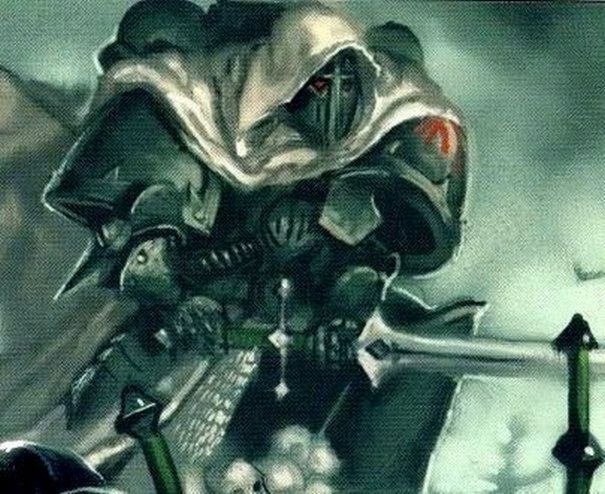 Having spent a few years now developing the Dark Angels storyline in the Heresy, there are lots of opportunities to make hints at things people will experience while reading those books - such as references to the Blade of Corswain, or the names of ships and Fallen. Tyler: The ending of The Unforgiven is pretty game changing. Was this something you created for the story or a revelation to you to include if you wanted? Gav: That was my idea - it had to be game-changing to make it worthwhile. Just as a the end of Angels of Darkness threw a whole load of doubts into the minds of Dark Angels fans (and other readers) so I wanted this series to be equally controversial. 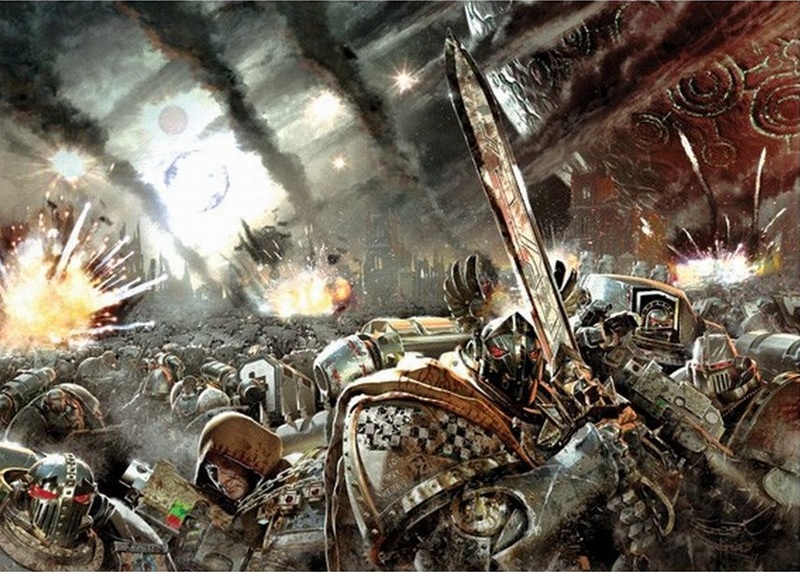 It's in the nature of the Dark Angels to be surrounded by speculation in real life as well as the background! Tyler: I personally love how time travel is being utilized more in Black Library novels. The time distorting affects of the Warp have always been mentioned, but rarely explored. 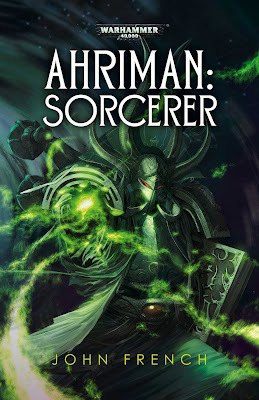 Now we have it occurring in both your novel and John French's Ahriman: Sorcerer. Is this an area of the Warp that you have always wanted to explore as well? Gav: It wasn't a conscious aspect I wanted to get into a story somewhere from before I started the series, but the denouement of the trilogy and the link between past and present was firmly established in my mind early on when starting the Legacy of Caliban. 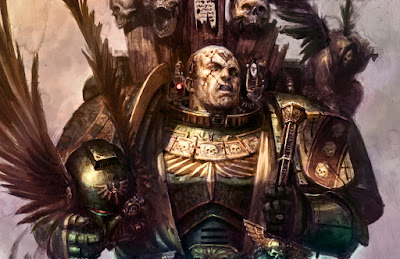 Tyler: What effects do you think this will have on the Dark Angels going forward? Tyler: Can we expect to see more of Astelan in the future? Gav: Well, more of him in the past, certainly! Tyler: Now for some questions unrelated to the Dark Angels. 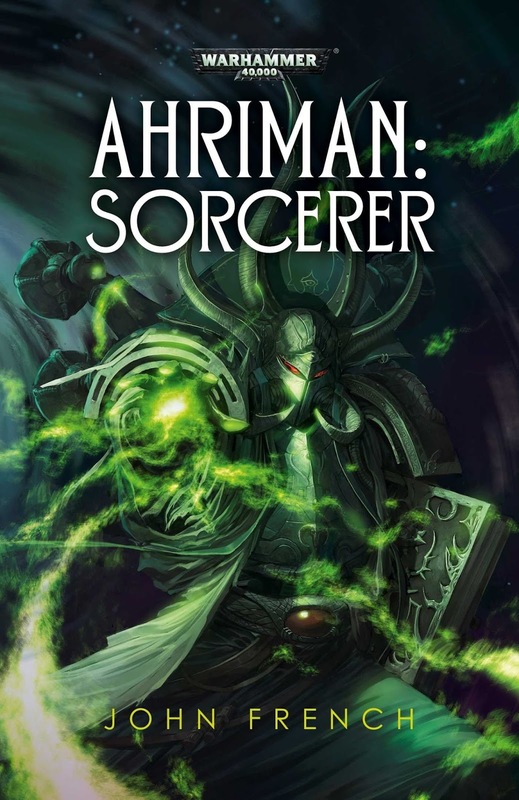 You have mentioned that you are writing your first novel for the Age of Sigmar. What challenges do you find while writing for this new setting? Do you have to approach it completely differently to how you wrote Warhammer Fantasy books? Gav: Utterly different to the Old World and beyond. It's a far more cosmic setting, and far stranger. Trying to get that feel, that move away form the grim and gritty, lowly rat catcher type of story and into something more befitting wars of gods and their soldiers. Plus that was a ton of reading to do and thousands of words of background to get into my head! Tyler: If you were given free reign to write about any event, person, or topic from the AoS or 40K universes, what would it be? Gav: Sanguinius. Just a short story will do. I love his story and would enjoy bringing him to the page. Tyler: Now that the Old World is gone, can you share some of the unused story ideas you had for that setting? 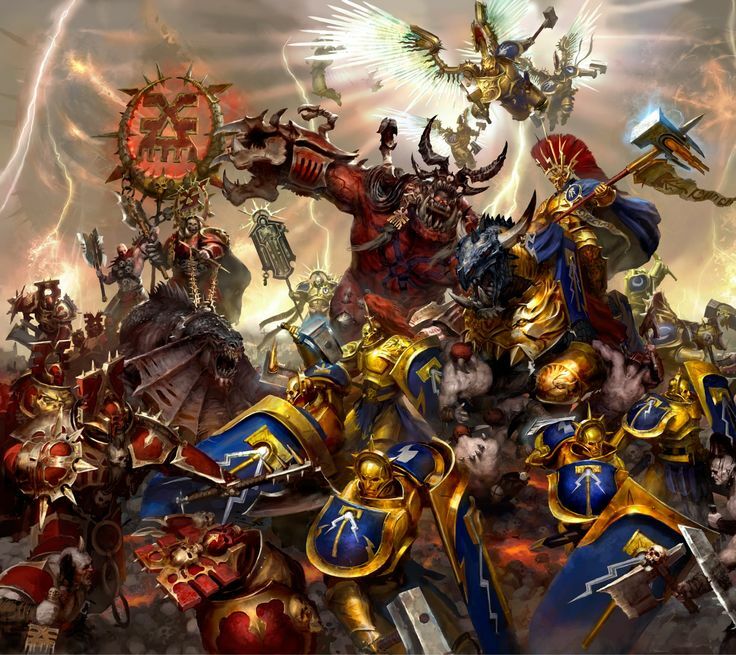 What would have been your dream book for Warhammer Fantasy? Gav: I don't think there are any. I don't really think that way - I was glad to get Doom of Dragonback out before the End Times and it's a shame I didn't get to write more about the Dwarfs. 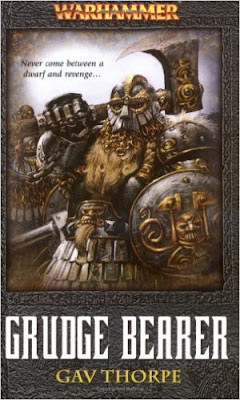 There were some tales that spun off from Grudgebearer, such as the mad engineer with the gyropcopter and his adventures in Bretonnia, but none of them were 'I must write this!' sorts of projects. Tyler: You have also mentioned that you are writing your own, 100% unique fantasy series, completely unrelated to Games Workshop. Can you tell us a bit about that? Gav: It's a secondary world, 'spellpunk' kind of setting (in that magic is prevalent, but not in the fireballs type of way, but more in terms of enchanted objects and mystical engineering). It's something I've approached more as a setting that I can write many stories within rather than a single narrative, as happened with The Crown of the Blood. Think more like the way Terry Pratchett approached Discworld than A Song of Ice and Fire-type ongoing narrative. The first novel has Kail, an inhuman assassin from the Cabal House, and Gabriel, recovering drug addict (kinda), forced together to track down a ritualistic murderer in the City of Eternal Days. Tyler: If the Lion and Azreal could meet, what would they say to each other? Do you think the Lion would be disappointed with how the Dark Angels have turned out in the 41st millennium? Gav: I don't know if he would be disappointed - he was expert at keeping secrets himself. If anything, like Astelan strangely enough, he would be more disappointed with the state of the Imperium. And that would be trouble for everyone. Tyler: What books can we look forward to reading from you in the immediate future? 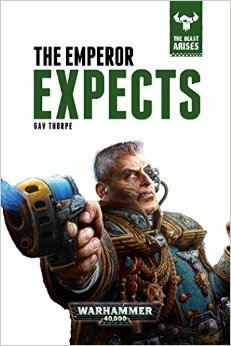 Gav: The Beast Arises series is the next big thing - I've written book #3 - The Emperor Expects - and I'm currently working on #8 for the series. Then I think the HH novel, Angels of Caliban, will be out sometime in the first half of next year, though I'm not one hundred per cent sure of that. 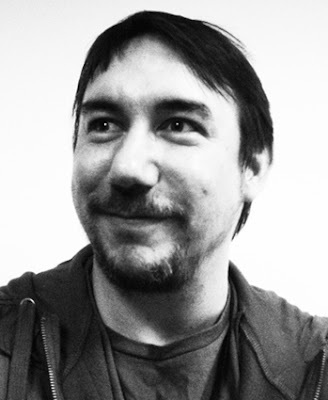 Gav: Thanks so much for the questions, Tyler. You can follow Gav Thorpe on Facebook, Twitter and on his newly refurbished website! He even has a newsletter you can subscribe to so you can stay up to date on what he's working on.